Rad hair is always in style. Sure, it maybe 80s themed, but it's always cool. For your cool 1980s music fans this wig means not just style, but tubular tunes. Layer on some polo shirts, and a jean jacket for the ultimate in 80s trends. Pop-on some dark sun glasses, and flash your smile for a hot costume. 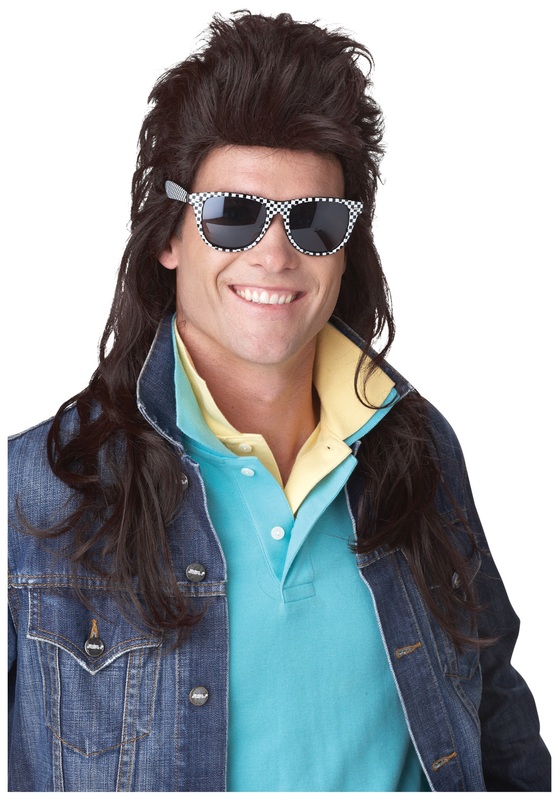 The 80s Brown Rock Mullet Wig is the perfect accessory for your ultimate 1980s Halloween costume. But don't worry, no 80s rockers where hurt in making this synthetic fiber wig. The Brown hair is styled into a sweet mullet to show of your style. There is a mesh cap on the interior with elastic to hold the wig in place. Make sure your mix tapes are ready, your dance moves are hot, and you are rocking neon colors for the coolest 80s costume.